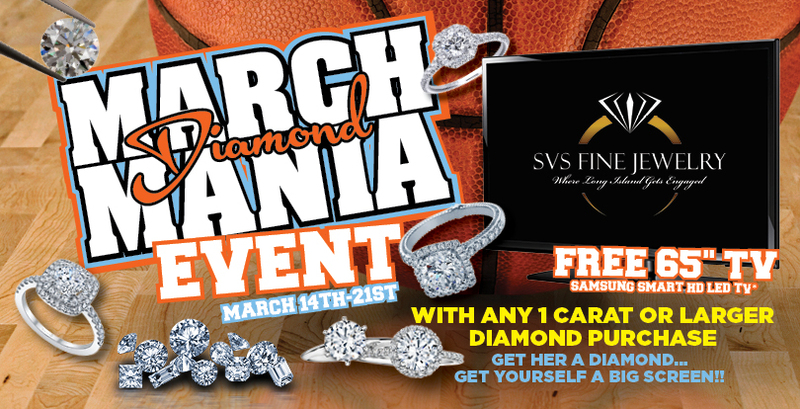 You heard right we are giving away a 65" Big Screen with every 1 carat or larger diamond purchase from March 14, 2016 to March 21, 2016! Support Long Island's local Stony Brook University as they head off to the NCAA! Thank you to our local TV source HOME Appliance in Oceanside! Don't need a big screen? HOME will honor it as a credit towards anything in the store!